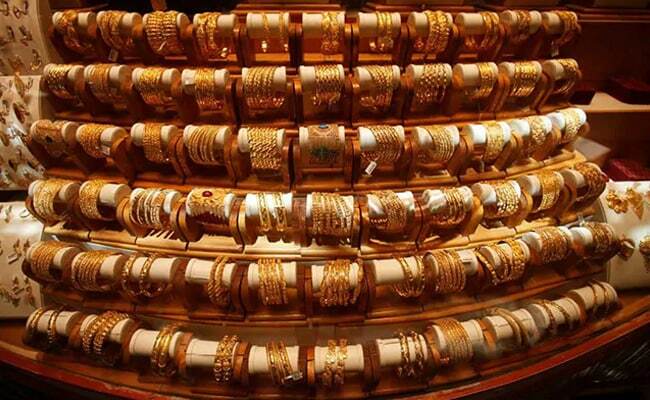 Gold prices on Wednesday declined marginally by Rs 25 to Rs 34,450 per 10 grams at the bullion market on muted demand from jewellers, reported news agency Press Trust of India (PTI) quoting according to the All India Sarafa Association. Silver also slumped Rs 320 to Rs 41,380 per kg on subdued offtake from industrial units and coin makers. Traders attributed the decrease in the prices of the yellow metal to lackluster demand from local jewellers amid weak trend overseas. 1. In Delhi, gold of 99.9 per cent and 99.5 per cent purities dropped Rs 25 each to Rs 34,450 and Rs 34,300 per 10 grams, respectively. 2. Sovereign gold, however, held steady at Rs 26,100 per piece of eight grams. The precious metal gained marginally by Rs. 25 on Tuesday. 3. Gloablly, gold prices held firm on Wednesday after US President Donald Trump, in his State of the Union speech, vowed to build a border wall and gave little clarity over the ongoing trade discussions with China, but a firmer dollar capped bullion's gains, reported news agency Reuters. 4. Spot gold was steady at $1,314.30 per ounce, in intraday trade. US gold futures were also steady at $1,318.20 an ounce. 5. Silver ready declined by Rs 320 to Rs 41,380 per kg, while weekly-based delivery witnessed a fall of Rs 322 to Rs 40,323 per kg. On the other hand, silver coins were flat at Rs 80,000 for buying and Rs 81,000 for selling of 100 pieces.